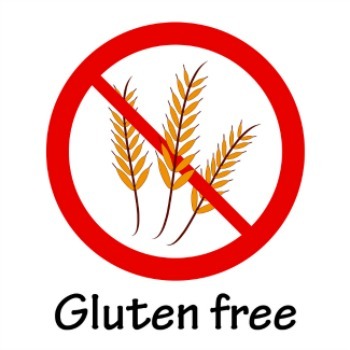 A gluten free diet is just that, a diet which eliminates all food and drinks that contain gluten. It all sounds so complicated. All I really wanted to know was why this diet seems to be the most popular craze on the entire planet right now, so I decided to study it and put it into easy to read lingo. It is a protein compound found in barley, wheat, rye, oats, triticale, kamut and derivatives of these items. Which means this protein compound can be found in many items such as malt (yes, sadly that means certain beers), grain vinegars, hydrolyzed vegetable protein, modified starches and certain fillers used in many foods. In other words this protein can be hiding in all sorts of products such as certain brands of beer, gravies, condiments such as ketchup and mustard, artificial creamers, vinegars, seasonings, luncheon meats, hotdogs, ice cream and more. If you want to avoid gluten then make it a daily practice to read all product labels thoroughly. Making it easier for the consumer, many health food stores now carry a large variety of gluten-free products. Why are people choosing a Gluten Free diet? Actually there are two very good reasons. One is strictly out of necessity to maintain good health for people who suffer from Celiac Disease and those who are allergic or sensitive to this protein compound. With these sensitivities you can develop all kinds of ill symptoms such as fatigue, achiness, bloating and digestive problems such as diarrhea. So it is only natural that people with these conditions feel much healthier when avoiding foods that contain gluten. The second reason is that many people swear that a gluten free diet works great for weight loss. It would not surprise me if this diet would be the number one diet used today for that specific reason. So how does it work for weight loss? It’s similar to a low carbohydrate diet, like the Atkins Diet would be a good example. The main source of carbohydrates is wheat flour which contains gluten. So the first foods that are typically banned with most weight loss plans are foods like breads and pastas. See how gluten free is similar to low carbohydrate diets or other similar weight loss plans? That’s right, get rid of the breads, pastas, muffins and other foods that contain wheat flour and replace them with healthy foods such as fresh fruits, vegetables, lean meats, certain dairy products and other foods that are gluten-free or low in carbohydrates and you have a great weight loss plan. Is the Gluten-Free Diet better than others? Only if you have Celiac disease or are sensitive or allergic to gluten will this plan benefit you more than other weight loss plans which contain foods that may contain items such as wheat flour. For instance the celebrity Miley Cyrus believes in this diet not only because it has helped her slim down but she has a gluten allergy and when she avoids consuming any foods that contain it, she feels great. In fact she has come right out and tweeted to all her fans “Everyone should try no gluten for a week. The change in your skin, physical and mental health is amazing! U won’t go back”. For all people that prefer to be free of gluten (even though you don't have to) because you feel healthier and slimmer than stick with what works for you. There is no real evidence that a gluten free diet is any healthier for those who are not sensitive to the protein. Today there are more and more products being produced that are gluten-free but buyer beware. Though these foods may not contain that protein so many of us want to avoid, many manufacturers add more fat and sugar to improve the taste of their product which can lead to higher calorie intake. If you have no allergies or issues with gluten, just remember that these grains, such as wheat, barley and oats have been around for centuries and for some help aid in a well balanced diet. The best way to know if a diet works well is to try it for a week or two. Your body and mind will tell you if you feel better or worse. If after a week your skin, mind, energy levels and body weight improve, you will know this diet plan works well for you. Of course eating healthy foods on a regular basis and daily exercise has always been key ways to maintain good health.